Alpha line is centered around climbing and alpine activities while Beta is around versatility. And what does AR mean? Think of a straight line. There are jackets offer great features, durability and weather protection (SV, IS models) at one end and very light jackets offer superior mobility (SL, LT, FL models) at the other. Being in the middle of these two extremes, AR (All Round) models are focused on versatility. Among Alpha AR, IS, FL, SV, SL and Beta AR, LT, SV, SL models; Alpha AR and Beta AR are the best overall products of their particular series for most of us provided that they won't be used for very specific activities only. So what are the differences between Alpha AR and Beta AR? ​In summary, as Beta focused on versatility and AR on being all round, Beta AR is the most versatile Arcteryx jacket out there. If you're looking for a jacket to use a wide variety of outdoor activities as well as everyday use in very cold weather, absolutely go for Beta AR | $501.00. If you're looking for a climbing specific jacket that you can also wear daily, go for Alpha AR | from $575.00. We've been shopping online for years and never had any problems. Before you buy, do make sure to check the seller's return policy, but you can almost always return an unused jacket within a certain time frame and you're good. If it doesn't quite fit after trying it on at home, you can always return. Turn your phone sideways for a much better table display. ​First, the short answers based on objective facts (features & built of these jackets) rather than my personal preference. Click here for spec comparisons of Alpha AR and Beta AR. ​Basically your choice comes down to your intended use and your expectations about breath-ability, pack-ability, weight, and durability. "Our winters are very cold in my city but I want to stay active throughout the winter: A lot of winter hikes, outdoor hockey, skiing, cycling, climbing and more; as well as everyday use." Absolutely go for Beta AR | $501.00 (women's specific fit Women's Beta AR | from $408.23​). This is probably not only the better choice between Alpha AR vs Beta AR for you but also among the entire Arcteryx Jackets - I'd doubt you can find anything equally versatile. It's made of N40r-X and N80p-X GoreTex Pro 3L Active - which provides higher durability than Alpha AR's N40p-X GoreTex Pro 3L. How's the Beta AR revised (2018) model is different than the previous one? DropHood feels much more comfortable when you're not wearing the hood. Versatility is increased even further by adding laminated pit zips as they provide faster breath-ability - which is even more important if you're planning to be active inside this jacket. It's cut around an inch shorter than Alpha AR and looks prettier to many. A little baggier cut allows insulating even further by wearing a mid-layer. They don't have many reviews yet because these are the links to most recent 2018 models of Beta AR. If you're looking for those of previous models for some reason, navigate accordingly: Men's Beta AR or Women's Beta AR. "Besides not-so-much everyday use, I'll spend 90% of my time rock/ice climbing when I have this jacket on." Go for Alpha AR | from $575.00 (women's specific fit Women's Alpha AR | from $408.23​). It's cut short in the front and longer in the back which allows not only better leg mobility but also better weather resistance when the climbing harness is on. Higher chest pockets are more central around your body and hence don't mess with your center of gravity. They don't get blocked off when wearing the jacket with a climbing harness either. StormHood (seamless design) feels more comfortable when the hood is on but less when it isn't compared to Beta AR. Longer collar configuration covers your entire chin, but can chafe into your jaw and can feel annoying. HemLocks which hold the jacket below a harness as you reach up are available. It's also a little (0.1 lbs) lighter than the Beta AR with a slightly trimmer cut. Again, they don't have many reviews yet either as I'm linking to most recent 2018 models of Alpha AR. There's something I'd like to clarify in advance. 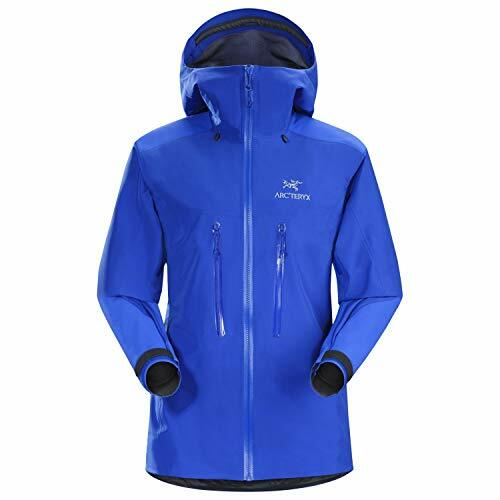 ​Arcteryx naming scheme is confusing. They have tens of different categories such as Alpha, Beta, Theta, Gamma and so on. They aren't only about "best use", but also their durability, design, construction and technical features as well as their hood, pocket, collar, zip, cuff & sleeves configurations. 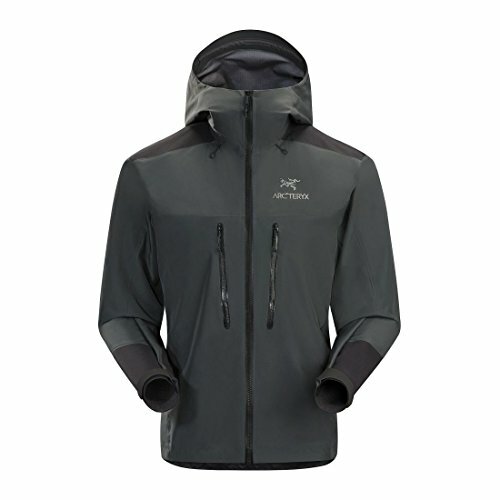 Can't find the naming scheme in arcteryx.com? That's because their page devoted to naming is currently unavailable at http://www.arcteryx.com/naming-scheme.aspx?country=us&language=en. Best use of Alpha line is climbing and alpinism, while Beta line is focused on versatility. You can go ahead and check out the archived link I provided but some models like Zeta aren't even there - but more importantly, Beta AR model is recently revised in 2018, which isn't the one covered there. ​More, there's also a two letter modifier in the end to represent the overall stance of the products such as AR, SV, LT, FL, etc. In our case, AR stands for All Round, a design that focuses on versatility the most. What does other modifiers mean? SL (super-light) is the lightest of all. which I'll explain all of them in detail under this post. 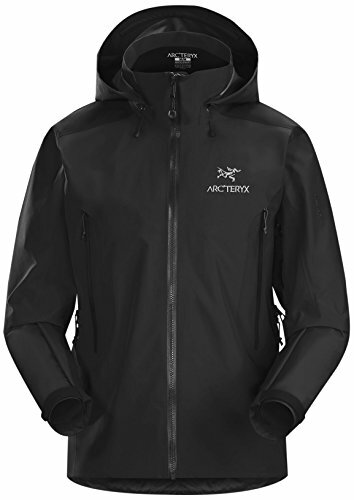 Both jackets offer highest Arcteryx GoreTex quality: GoreTex Pro 3L Active. The minimal difference is that Beta AR comes with rip-stop weave which provides slightly better durability and slightly worse water beading compared to Alpha AR's plain weave. Although the reinforced regions (besides shoulders and forearms, hood is also reinforced in Alpha AR) of both jackets come with N80p-X GORE-TEX Pro 3L, their main face fabric differs. Both have a 40 denier (a unit to define yarn weight) GoreTex, but Beta AR comes with N40r-X face fabric and Alpha AR with N40r-X. Yarn weight is usually between 40-150 denier. Standing at only 40 denier, both jackets provide exceptional weight-to-durability ratio, and hence the X mark at the end of their face fabric code. It's likely that both jackets will come "noisy" to you in the beginning because of their solid constructions, but don't worry. They'll get less noisy over time as the higher friction areas such as pits, collar and elbows wear with time. ​The only difference here is in the main fabric: Beta AR has rip-stop weave while Alpha AR has plain weave. Thanks to its plain weave, Alpha AR beads water droplets faster as their path downwards isn't blocked by elevated edges of each square; and it feels softer than Beta AR. However, rip-stop weave of Beta AR is more durable since it's harder to tear as their path are blocked by elevated edges of each square. Liquid chemical coating DWR (Durable Water Repellent) is applied to both jackets, and it's what causes the water to bead and roll off. It doesn't have any effect on the soft or hard feeling of face fabric. The most important thing you should know about it is that it wears off with time like any coating, so needs to be restored once in a while using Nu water repellent. Alpha AR comes with StormHood: There is no separate collar and the hood is directly integrated into the jacket/collar with a seamless design. Beta AR comes with DropHood: Hood is separate from collar as you see and draws up around it. Either of these jackets offer stow-away hood (they just hang down when not in use) and both are helmet compatible & adjustable. ​In short, DropHood of Beta AR is better when not wearing it, and StormHood of Alpha AR is better when wearing it. Alpha AR's taller collar provides better coverage when zipped to the end, but otherwise feels less comfortable. Shorter collar of Beta AR feels very comfortable both ways, without any considerable weather protection sacrifice when using the hood. Although both are the ultimate "buy once, cry once" piece; Beta AR is slightly more durable due to rip-stop material with the exception of the hood since that of Alpha AR is reinforced. Also they have a great warranty & customer service if you're unaware. It's the last thing you should worry when looking for an Arcteryx product. Alpha AR's chest pockets are placed higher than Beta AR so that it wouldn't (1) block the access to them when wearing the climbing harness and (2) throw off the center of gravity. Lower chest pockets of allow easier access. Hem Locks of Alpha AR are (which aren't available in Beta AR) great for climbing. Alpha AR's chest pockets are placed higher than Beta AR so that it wouldn't (1) block the access to them when wearing the climbing harness and (2) throw off the center of gravity. Lower chest pockets of allow easier access. We didn't like the crossover chest pockets of Alpha AR (at left) during day to day use. We're more used to the classic pockets of Beta AR (at right) as we like having the option to walk our hands in there! This pocket is very useful when it's raining because your electronics in the hand pockets are exposed and hence can get damaged. This is a great feature to have if you climb. Since Beta AR takes out all the climbing specific features, it isn't equipped with hem locks unlike Alpha AR. With the harness on, they make a great job holding the jacket in its place as your reach up. Although both jackets offer above average breath-ability with nothing very special; since pit zips of Beta AR are laminated unlike those of Alpha AR's, they offer slightly faster ventilation and are more durable. When you use a GoreTex Pro 3L Active which has a very high waterproofness with pores over 20,000 times smaller than water molecules, you inevitably sacrifice breath-ability as the pores are 70 times (not quite enough) larger than vapor molecules. But, luckily, both jackets have the most breath-able yarn weight with 40 denier fabric, which compensates the sacrifice made by using a GoreTex Pro 3L Active membrane. More, both jackets offer very long pit zips that work very well and keep you ventilated; but unlike Alpha AR's pit zips, those of Beta AR (shown in gif) are laminated and hence allow faster ventilation. Beta AR is baggier and bulkier, while Alpha AR is a bit trimmer cut. At 1 lbs, Beta AR is still quite light although 0.1 lbs heavier than Alpha AR. Still, either are considered "a lightweight jacket" because of their lighter LT and SL counterparts. Click on either image to enlarge. Although both listed regular fit, Alpha AR is closer to the Trim Fit side and Beta AR to Relaxed Fit side (for both men's and women's models). 7 sizes available for men and 5 for women allow further fit and hence comfort. Men's sizing. Click on image to enlarge. Click here to figure out your measurements. Women's sizing. Click on image to enlarge. Click here to figure out your measurements. Although these products have many things in common, the differences make Alpha AR perfect for climbing and Beta AR perfect for very wide use. Absolutely go for Beta AR if you don't climb. If you're going to mostly climb with this jacket, Alpha AR is one of the best choices for you out there.